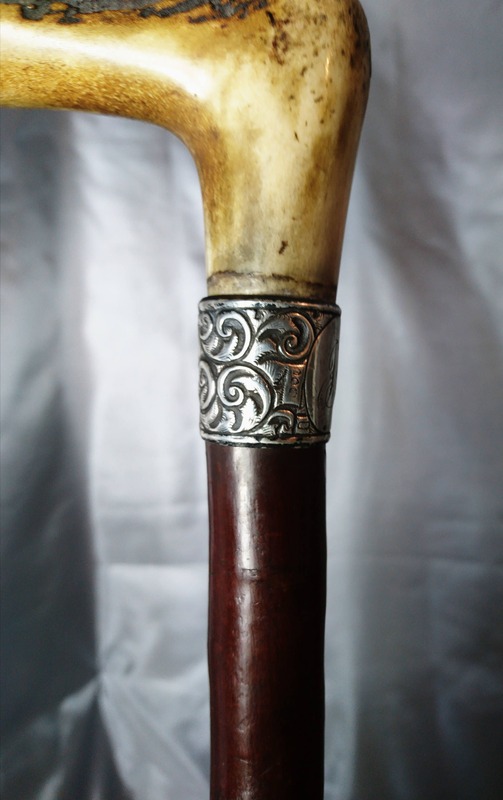 A staple item for the refined Victorian gentleman was the walking cane also used in the era as a swagger stick. 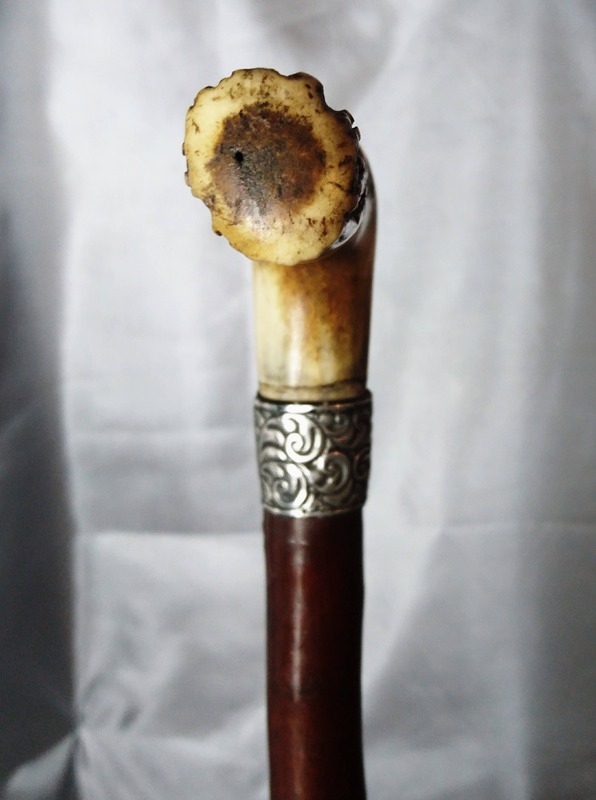 It was not just a walking aid but an accessory, it finished off ones dress and tied together the style, it could be marched, swung gracefully or shaken in defiance. 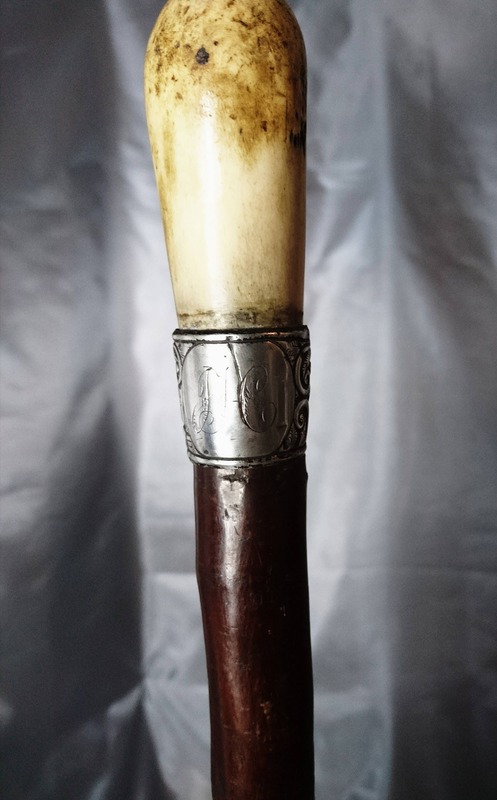 This one is elegantly crafted from hardwood and has a deer antler handle and ornate sterling silver collar, it is monogrammed with fancy initials. 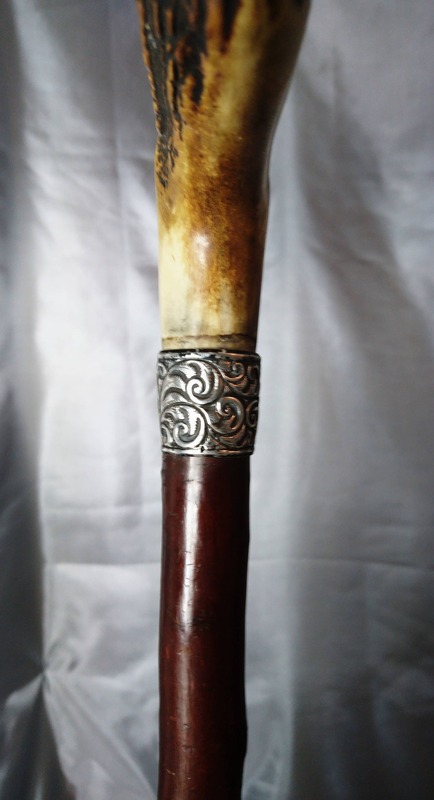 It is fully hallmarked on the collar for sterling silver, London, 1891, makers mark not visible. 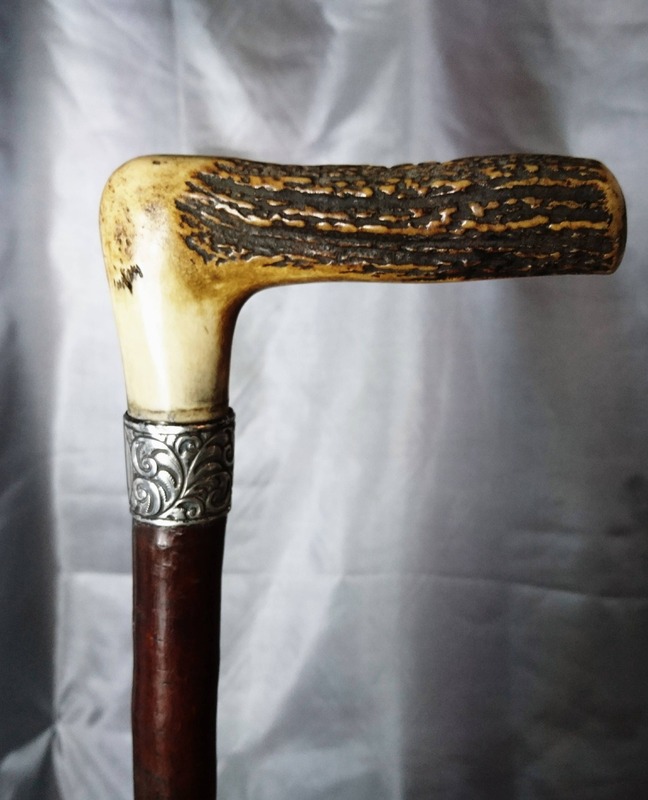 A very attractive 19th century walking stick. 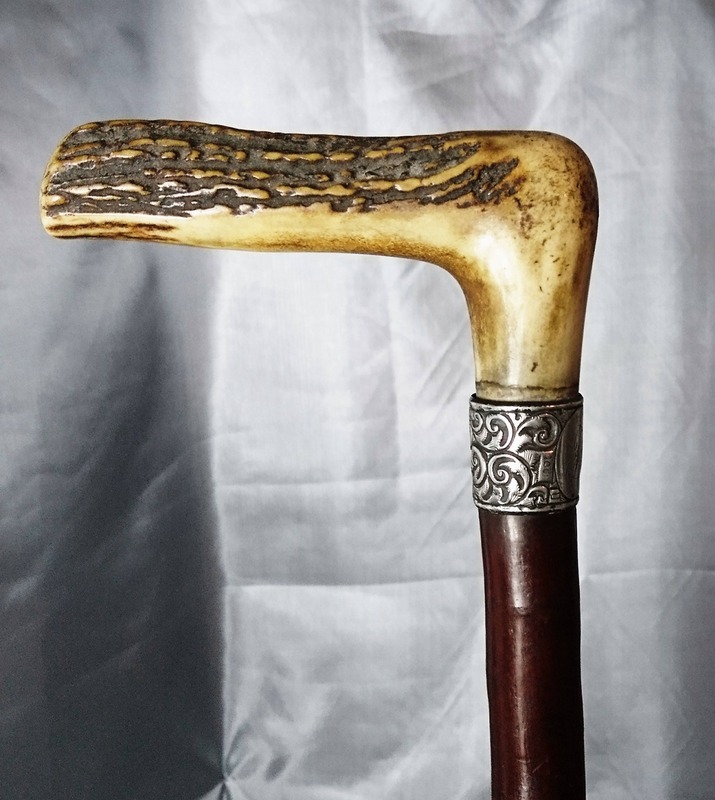 Approx 34" length, handle has 5" length and the cane approx 3.2" circumference.